Many people feel that the GTO was the car that started the muscle car explosion. Sure, there were bigger engined, more powerful cars prior to its introduction in 1964, but this is really the car that other manufacturers wanted to compete with. Looking at this 1965 GTO you can see what all the fuss was about. It's a great looking car. Offered as an option package on three of the four Tempest LeMans body styles (not available on the 4-door sedan), the GTO was now in its second year. What you got in addition to improved V8 performance was: special trim and identification medallions including six GTO emblems and a blacked out style grille. There were simulated hood scoops, high-rate springs and a longer, larger-diameter rear stabilizer bar. 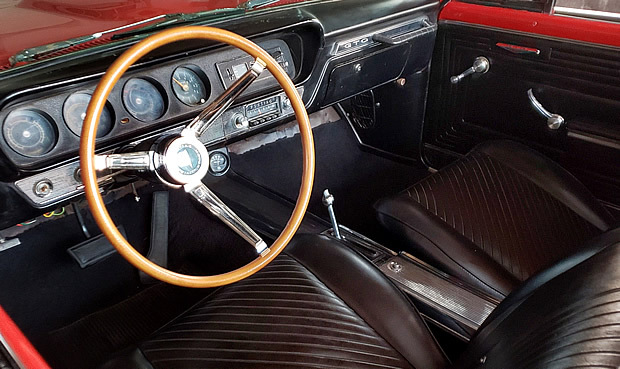 Inside, they came equipped with all-vinyl bucket seats and a center console. A 389 V8 was also standard on the GTO together with a dress-up kit and heavy-duty suspension. 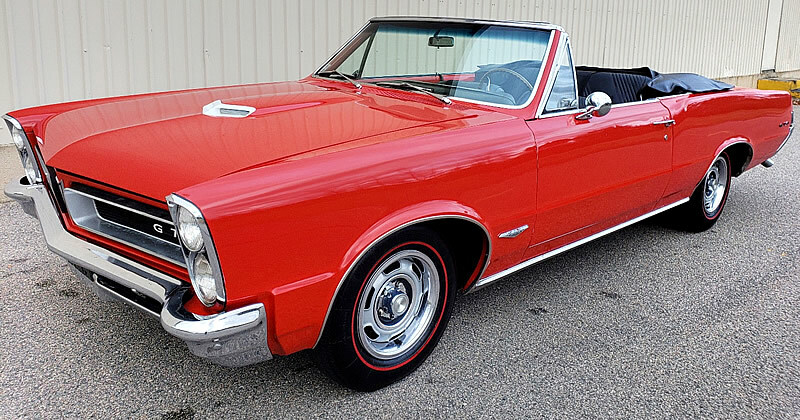 Pontiac sold a total of 11,311 Tempest LeMans 2-door convertibles with the GTO option during the 1965 model year. They had a base price of $3,093 - the GTO option added $355 to the price of the car. In fact, nearly 45% of customers that bought a LeMans Convertible went for the GTO package. Following great sales that year the GTO was destined to become its own separate series for 1966.